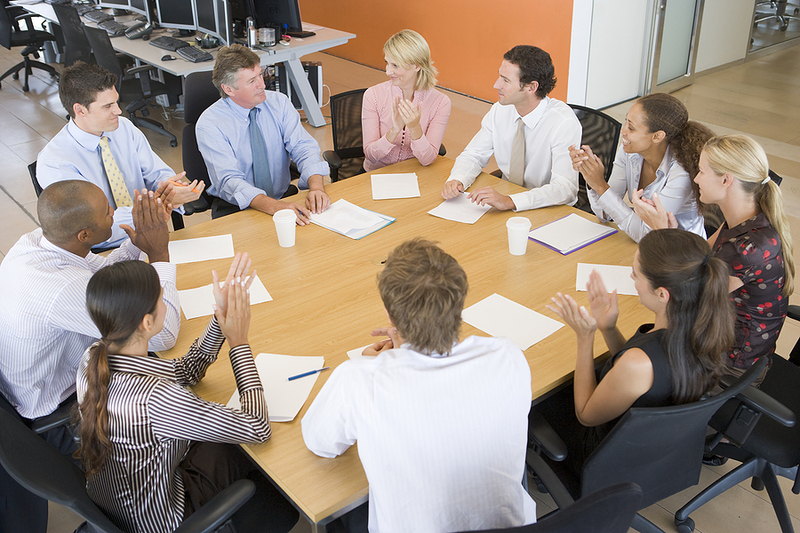 What’s the purpose of a formal boardroom staff meeting? If your answer is “to present information”, then an email with attachments is likely a better choice. If the answer is “to listen to reports to keep the manager in the loop,” that’s a problem. If the idea behind the meeting is to get feedback, to inspire collaboration, or to arrive at a final decision, a meeting may indeed be your best tool. Still, any tool can be misused or become antiquated so let’s examine our idea of what meetings could be. Jim, a sales manager for 16 weekly newspapers, begins every workday morning with a 15-minute meeting with 17 account reps, and he concludes every workday with a 15-minute review period. These daily meetings are mandatory, so he begins the sales day at 7:15, when most clients are unavailable, and the latest a sales appointment is to be set is at 3 p.m. so that staff will be free for the final meeting. The quick morning meetings are for goal setting and tracking, with daily afternoon progress reviews built in. Jim sets a timer at the beginning of both meetings to keep things rolling. It also adds to the tone he wants to set: urgency. It is a highly effective management style which keeps the team on track for success – or able to confer on an early intervention as challenges arise. Don, a mid-sized company’s general manager, schedules monthly all-staff meetings for late afternoon, one hour before the close of business. He conspicuously posts the cost of the meeting on a whiteboard, having computed the labor cost of running his business per hour, to underline the importance of not wasting time. The effect this has on staff is to censure the casual question, inquiry or general comment, leading to a very one-dimensional meeting and a downward information flow. While it’s important to know the cost of a meeting (to determine whether or not it is even necessary), it’s equally important to let people “opt out” if they are not integrally involved or they will not marginally benefit from attendance. Instead, Don demands all staff attend but then he signals his resentment of the time lost for more productive uses. Set a specific, timed agenda. Carefully scrutinize an agenda and attach a time-frame to every agenda item. Include as many decision points as possible so that it isn’t just an informational meeting, but rather a task-assigning or solutions providing meeting wherever possible. Prepare information in the best way to make it easily and quickly understood. What do you need to prepare/communicate in advance? Can you present the information graphically to save time and make it easier to understand? One graphic chart, on average, shaves off 6 minutes of verbal explanations. Collaborative whenever possible. You might need to limit questions and/or observations to two minutes so that everyone gets a turn. 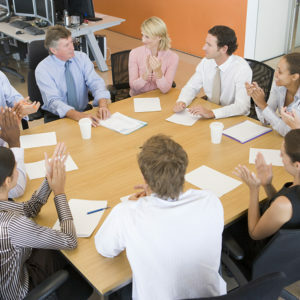 Some questions can be addressed after the conclusion of the formal meeting, rather than consume the entire group’s time. To increase collaboration, consider incorporating short polls to get a quick feel for how people feel about a course of action, especially if group buy-in is desired. The one rule of thumb I always kept in mind when scheduling a meeting was this: It was going to be 30-60 minutes of the attendees’ lives (and mine) that we could never get back. When you think of it that way, you really want to make those minutes count.